What Foods, Vitamins or Vitamin Supplements Can Cause Sore Joints? Arthritis is the most common cause of joint soreness, and supplements or food in your diet may trigger symptoms. However, it's not the only dietary cause -- getting too much of certain nutrients might cause joint pain, too. If you're experiencing joint pain, discuss any concerns with your health care provider. You may think that since vitamins are good for you, more is better. This isn't the case. Taking too many vitamins is not only bad for your health but also your joints. Your body easily eliminates excess water-soluble vitamins like B and C in your urine. However, fat-soluble vitamins and certain minerals aren't easily eliminated and can accumulate to unhealthy levels if you take too much. For example, too much iron causes joint pain, according to the Arthritis Foundation. Avoid taking more than the recommended daily allowance of any vitamin or mineral. Inflammation is the root cause of joint pain, so any food that promotes inflammation may trigger symptoms. Some of the most common offenders are foods laden with sugar, saturated fat and artificial flavorings. The typical American diet is also high in vegetable oils, which contain pro-inflammatory omega-6 fats. In addition, common allergens like gluten and casein may trigger symptoms if you're sensitive to either of these proteins. Gluten is found in any food made from wheat, rye and barley, and casein is a component of dairy. Red meat is another offender to avoid. The hormone insulin has a significant impact on inflammation in the body, according to an article published in the Spring 2004 issue of the journal Metabolic Syndrome and Related Disorders. Eating a diet rich in foods that trigger a large spike in insulin promotes inflammation, which is bad news for joints. Examples of high-glycemic foods are white rice, white bread, refined pasta, russet potatoes, flour tortillas, snack chips, pies, cakes and soft drinks. Adopt an anti-inflammatory diet to help fight sore joints. Talk to your doctor about following a low-glycemic diet. Load up on green leafy vegetables and fruits like berries, which are rich in antioxidants that help regulate the body's inflammatory response. 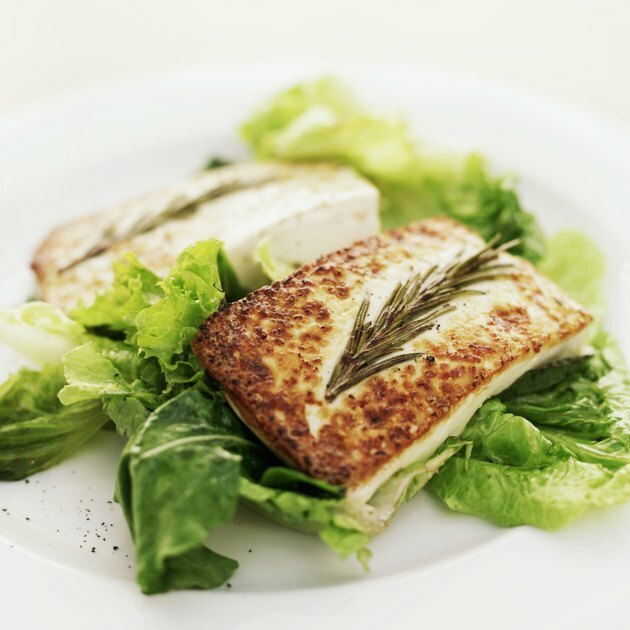 Fatty fish contains anti-inflammatory omega-3 fats that help soothe inflammation, so incorporate it in your weekly meals. Nuts and olive oil also contain anti-inflammatory omega-3 fats. In addition, coffee is rich in polyphenols, which may protect against inflammation, according to Harvard Health Publications. Arthritis Foundation: Vitamins and Minerals: How Much Is Too Much? Can People With Gout Eat Nuts?